The first time we took Abby on a plane, she was four years old. I was slightly apprehensive on how we were going to keep her entertained on the flight, but it wasn’t a very long flight, and I think we got away with it quite lightly. 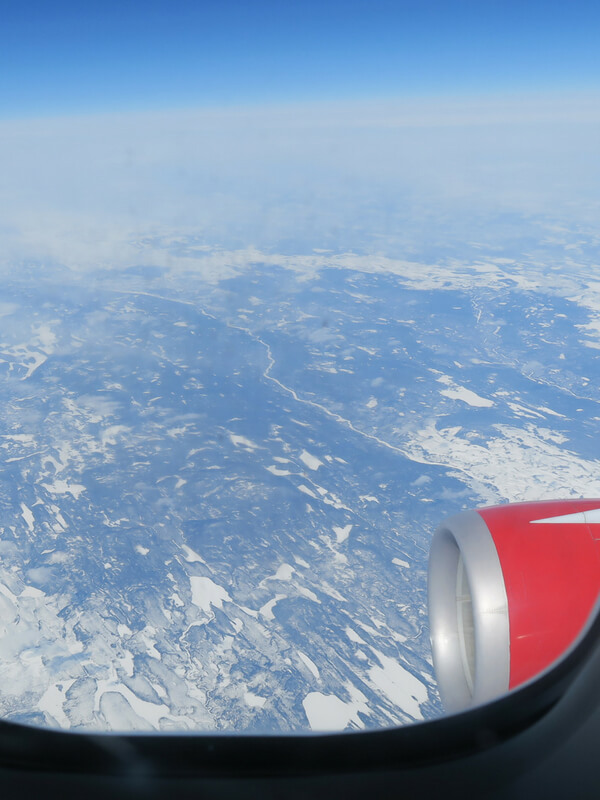 Fast forward to her first long haul flight, she was just seven years old, and for this flight I have to admit that I was worried that she would be bored, fidgety and complain a lot. 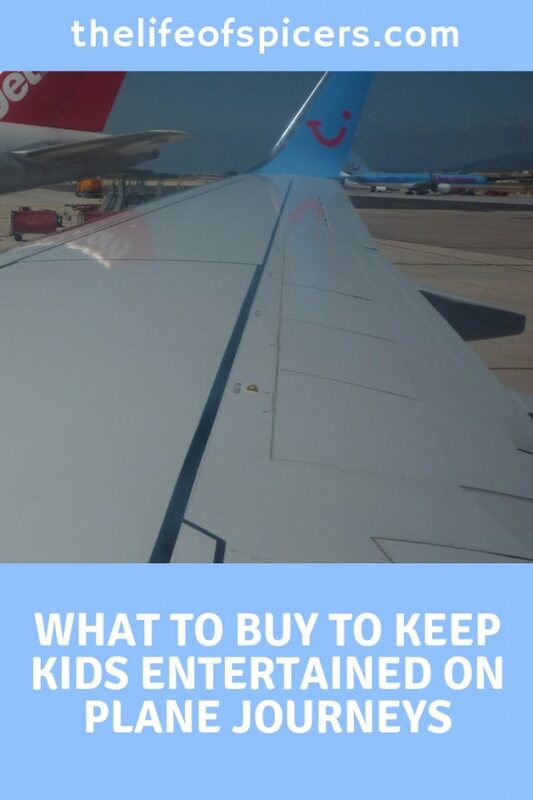 We have since taken a few long haul flights to Orlando as we visit Walt Disney World, and I have learnt quite a lot of tips and tricks along the way to keep kids entertained on plane journeys. When you book your flight, you will always be able to take a piece of hand luggage each regardless of whether you have checked baggage as well. I would definitely recommend taking advantage of a separate piece of hand luggage for your children because it also helps to keep them entertained in the airport before you even board your flight. We have taken different style of child friendly hand luggage over the years, from style they can sit on, and styles to be carried. We have found that a rucksack style works best for us, as they are easier to pick up when you need to. We all know kids won’t be carrying their own hand luggage all the time. Even as an adult I love colouring books. They are a great way to pass the time on the plane, but it does need to be mess free. It’s not ideal to take felt tip pens to colour with as you will end up with stained hands and potentially things that shouldn’t be coloured in start to be drawn on. There are so many options available on the market, but some of my favourites are to take a pencil-case with colouring pencils in. Just remember to take a small sharpener with you. You can also buy mess free colouring books which include special pens where the ink will only appear on the pages in that colouring book. These are such a great idea and we have bought lots of the years. They come sealed in their own packets as well, so you could open one for the outbound journey and keep one for the inbound journey. A good old game of cards is such a good idea to distract children on a plane journey. If you’re in a row of three it’s easy to use the middle tray as a table and play around it. I usually pack some Top Trumps, a pack of Uno and standard playing cards. We will often only play in bursts, but they are so small and easy to pack, it really doe help to keep kids entertained on plane journeys. Books are a great idea for plane journeys. It’s become a bit of a tradition for our family to buy one each at the airport whilst we’re waiting to board the plane. We do always have a couple pre packed as well as airports shops aren’t always the cheapest way to buy your books. We are quite lucky and Abby will always eat the meal on the plane if it’s offered. Not all children will I fully appreciate. We will always pack some snacks for those just in case moments. There’s no point in adding fuel to the fire if your child is already getting bored and hungry by not being able to provide them something to eat. 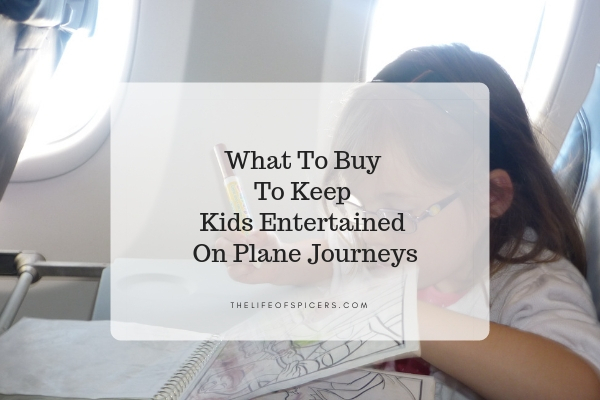 Apart from the standard sweets we will buy, if you know your child won’t eat the in flight meal if applicable, then buy a sandwich after security, or pack something from home that they like to eat on the flight. Whilst a lot of airlines have seat back entertainment, we are moving away from this on long haul flights. 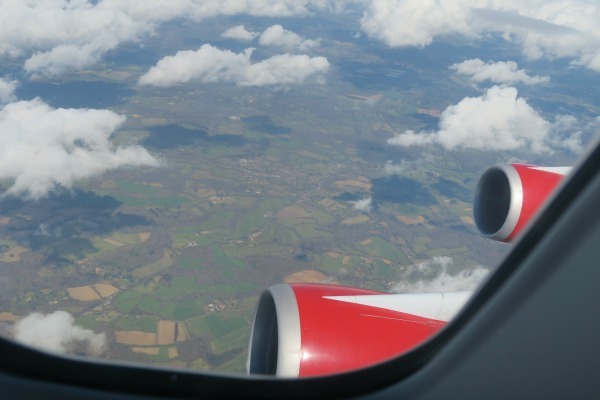 On short-haul flights as well you will want to be relying on your own screen for entertainment for the kids. We always make sure we have a tablet to hand loaded with applicable entertainment, shows and games to keep everyone happy. Audio books and a good set of headphones are also a good idea when shopping for screen for you upcoming flight. Kids often don’t need a huge heavy bag crammed with things to do on a flight, but it’s always best to be prepared. I also find it’s a good idea to pack them a familiar cuddly toy and a change of clothes in their hand luggage as well.